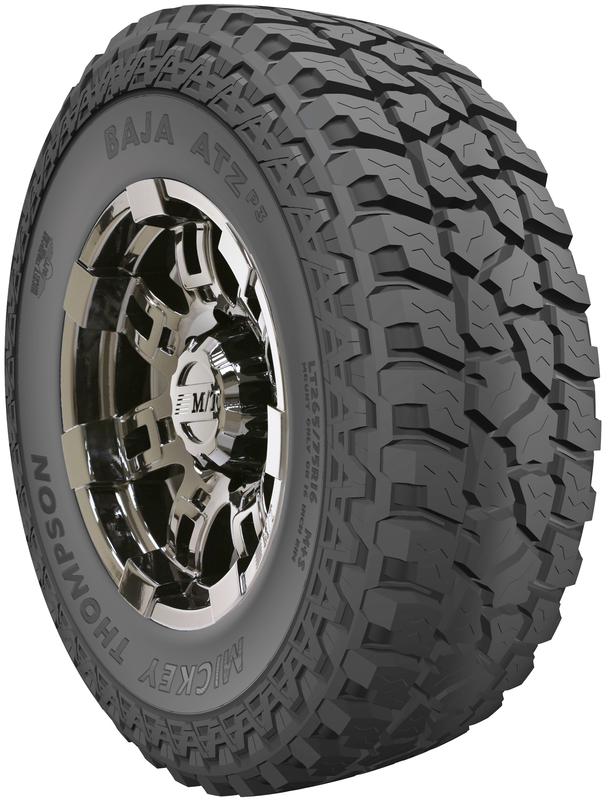 STOW, OH – May 16, 2013 – The new all-terrain Baja ATZP3 with PowerPly three-ply sidewalls is Mickey Thompson’s next-generation, all-terrain tire. The Baja ATZP3 combines unique design elements, tire technology and engineering to deliver excellent off-road traction, a quieter ride and superior durability for today’s light trucks and 4×4’s. From the tread and tread lug design, to wide lateral grooves, stone ejector ribs, and specially designed shoulders and sidewalls, the Baja ATZP3 gives new meaning to the all-terrain tire designation. The Baja ATZP3 is a 2012 SEMA Global Media Award winner. For more information, visit http://www.mickeythompsontires.com/truck.php?item=BajaATZP3.